The full-time Bachelor of Psychology (BPsych) degree is offered over a minimum period of four years. The Professional Board for Psychology has introduced the BPsych Registered Counsellor category in order to meet the psychological needs of the South African population at a primary level. MGI’s BPsych programme has been developed in line with these needs in order for students to gain in-depth knowledge of the major paradigms, principles, methods, and theories of psychology and human behaviour. Students are provided with a solid grounding in the academic theory underpinning the main concepts of the field of psychology. The curriculum includes a significant experiential component, culminating in a six-month internship, which forms part of the final year curriculum. Also included in the curriculum are more generalised modules, such as Computer Skills, which are regarded as essential with regards to competent functioning in today’s workplace environment. Students studying the BPsych specialise in trauma counselling. 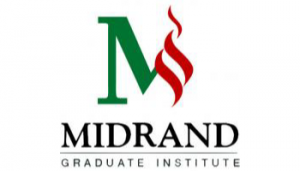 From 2015 this qualification will only be offered at the MGI campus in Midrand for new students. Students are introduced to the basic principles of psychology, as well as other more generalised subjects. Students develop an intermediary level of knowledge and skills in the field of psychology. Applicants with either a Psychology III qualification or an Honours in Psychology qualification may be admitted to Level 4 of the BPsych degree. Complete rigorous questionnaires and/or psychometric tests. Present themselves for an in-depth interview, to be conducted by a departmental panel, consisting of academic staff and supervisors. The full-time Level 4 of the BPsych degree is offered over a one-or-two year programme. The programme is a one-or-two year programme that allows applicants with suitable previous qualifications to enrol for subjects/modules that will then satisfy the requirements for the MGI Bachelor of Psychology (BPsych) degree. This is an Honours equivalent qualification. Students who successfully complete all levels of study are awarded the MGI Bachelor of Psychology degree. Registered (Professional) Counsellor specialising in trauma counselling. The MGI BPsych degree has been recognised by the HPCSA as one of the few professional psychology degrees in South Africa.